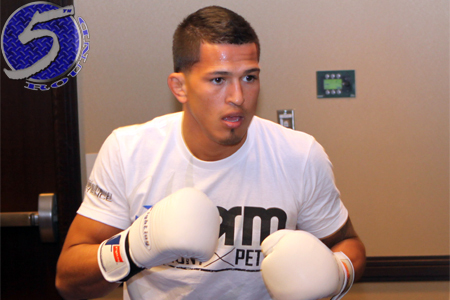 Tell me if you’ve heard this before – Anthony Pettis (Pictured) unleashes a vicious kick to score a victory and shot at the UFC lightweight title? Sure, it wasn’t as spectacular as the unforgettable “Showtime Kick” he laid on Benson Henderson to capture the WEC title in December 2010, but Donald Cerrone will attest the strike he received to his ribs on Saturday was just as devastating. Henderson defends his UFC 155-pound crown against Gilbert Melendez in April. UFC president Dana White promised Pettis gets the winner. Pettis was supposed to parlay his highlight reel kick on Henderson into a UFC championship affair, but then-champ Frankie Edgar fought Gray Maynard to a controversial draw one month later and an immediate rematch was arranged instead. Pettis felt his skyrocketing career couldn’t wait and decided to make his big league debut against a gritty Clay Guida. Most enthusiasts felt it was a bad matchup for Pettis, as “The Carpenter” has a knack for grinding out wins with his relentless nature. “Showtime” was then forced to pick up the pieces and climb back up the 155-pound totem pole. He has since rattled off three straight wins, with the last two ending in KO fashion. Pettis learned his lesson the last time around. The 25-year-old stated he’ll ride the pine until it’s title time since he’s guaranteed a shot at the throne.